Periplaneta americana, commonly known as the American cockroach, is the most dreaded house pest of them all. Why? It is almost impossible to kill. This unique survival mechanism has inspired scientists to create robots mimicking these roaches. But, what makes them so adaptable to the environment that they cannot be destroyed easily? Their genes! In a paper published in Nature Communications, Chinese researchers investigated the genome of the American cockroach and compared it to that of other cockroach species — P. australasiae native to Australia, the smokybrown cockroach (P. fuliginosa) and Blattella germanica of Germany. Termites of Order Blattodea were also included as part of the experiment. Among the members of the insect species that were sequenced, it was seen that P. americana had a huge genome, second largest only to the locust, L. migrotaria. Most of the DNA sequence consisted of repetitive elements that was evidence of evolution of its genome size. In learning about the evolution and genetics of roaches, complex processes like chemoreception (response to stimuli based on the environment) and natural detoxification were determined and associated to the genes present in these super-resistant bugs. Chemoreception endows the omnivorous cockroaches bitter taste receptors, and also a keen sense of smell that allows its easy access to various foods. Similarly, the insects’ detoxification genes enable it to survive in dirty and unhygienic conditions. Since the attraction towards fermented foods is high, the roaches have evolved in such a way that their body naturally secretes antimicrobial peptides that kill microorganisms. The genetic makeup of the cockroach also shed some light on its predisposition to regrow limbs, after an injury, during certain stages in life, and the dependence of its growth rate on the availability of food. Another observation explained why the females lay unfertilized eggs — displaying parthenogenesis — under stress. It is a known fact that cockroaches use the mechanism of developmental or adaptive plasticity to survive and thrive in the most questionable of environments. Despite popular opinion that the presence of cockroaches are only detrimental to health, it has proven to be beneficial in traditional Chinese medicine. 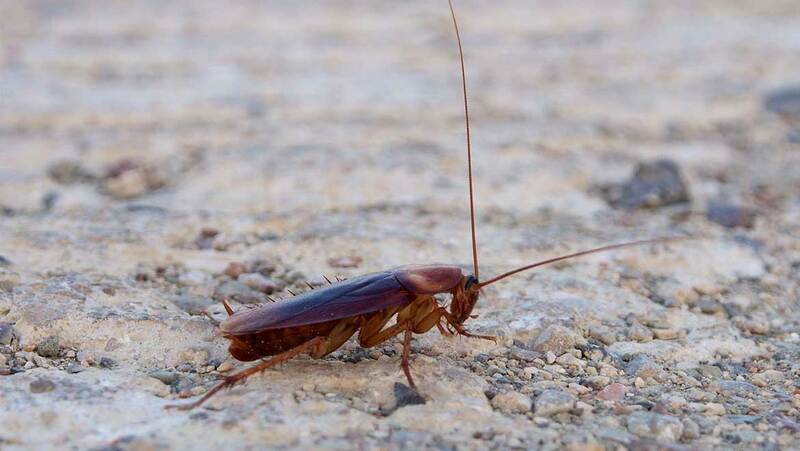 Ethanol, extracted from the body of roaches, is believed to heal wounds and repair broken tissues. Scientists hope that decoding the cockroach’s genes could be a useful tool to replicate their mechanism. In fact, it has already been put to practice — futuristic, roach-bots like CRAM have been developed to serve in search-and-rescue operations, owing to their size and versatility. The researchers suggested that understanding their evolution, history and genetic pathways could mainly result in devising new means of keeping the pesky creatures away. Although unwelcome visitors to our homes, studying the genotype and phenotype of the American cockroach could drive further innovation and development, and certainly, give us clues for its population control!